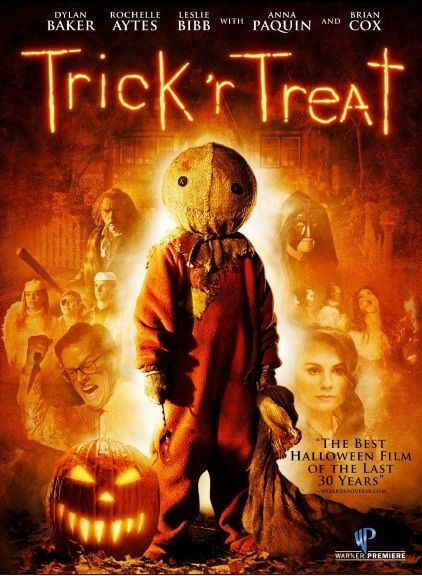 Ah a horror movie that's actually set at Halloween. Sure, plenty may take place in October and even be on the last day of the month but it's just a background. Here Halloween is front and center, not hidden away in some dark corner somewhere. And mostly it works. While I do think that this movie loses it's charm the more and more you see it, the film still carries a nice atmosphere and stays true to the Halloween Spirit. I just wish it didn't get so boring in parts. The first time there's some suspense which keeps you around for the duration but on repeated viewings, the suspense is gone so you're just left with what's right in front of you and unfortunately there's not much to enjoy. The characters are just unlikeable human beings with no redeeming qualities. In fact, I have trouble thinking of a single character that I didn't want to meet their maker. Actually, scratch that. The dog. The dog was awesome.